I’ve imagined Haiti ever since I can remember. My grandmother lived in the Caribbean and traveled there often, as an art and designer clothing buyer. 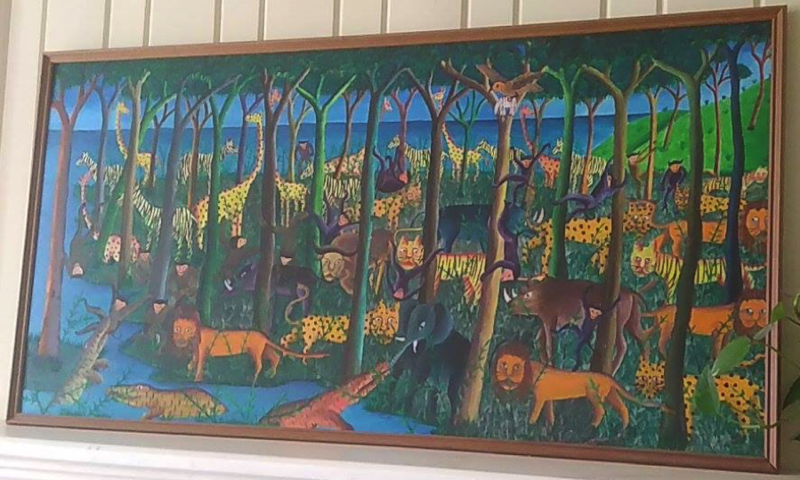 When we visited her in Maine for holiday weekends, I would fall asleep facing a painting that, at first, looked like just a colorful painting of animals. But, if you looked a little closer, the animals were wary of each other; some were fighting. But still, colors! I always found it strangely comforting. 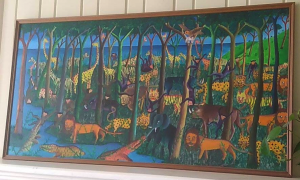 Fast forward 35 years, and that painting is above my fireplace, and I’ve now finally visited Haiti for myself. I work as a grant writer for Pure Water for the World, and, as such, I support water access mainly by sitting behind a desk and writing about how important it is to have access to clean water, sanitation and hygiene education (WASH). Alys with Megan McLaughlin, PWW Grant Writer, and Jamin Gelder, PWW Program Manager, talking with Cité Soleil beneficiary. No stranger to fieldwork, thanks to an advanced degree in archaeology, it was a gift, not only to see Haiti itself, but to meet the people who live there, after imagining it almost my entire life. As much as I tried to picture what it would be like to live in Cité Soleil when I was writing a grant to fund a household water filter project there, I just truly had no idea until I saw it for myself. During the trip, myself and fellow grant writer, Megan McLaughlin, visited three WASH projects in various stages. Without question, those we spoke to who had been project beneficiaries and had filters in their homes saw improvements in their health as a result. In Cité Soleil we attended a community meeting and, at the end, the community members asked Megan and I to speak, so they could hear us. I told them how important it was to me that I was doing work that made a difference for people, and PWW Interim Country Director, Marion Nonglaton, kindly translated. 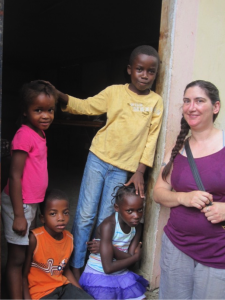 Alys with future WASH beneficiaries in Darbonne. Humans, it seems, are powerfully resilient, and while it was frustrating to see the profound challenges people faced to access basic services that I take for granted, it also made me so hopeful. People who benefit from PWW projects truly do use it as a springboard and, after seeing it on the ground, I can safely say it is exactly the kind of work I want to support in a professional and personal capacity. PWW Travelers #clean water filter, Haiti, PWW Travelers, PWW Trips, Travel, WASH program. permalink.